The most worthless 3DS game in the world? The most worthless 3DS game in the world? Probably Monster Hunter 4, which sold a colossal 4 million copies in Japan, more than almost anything else. 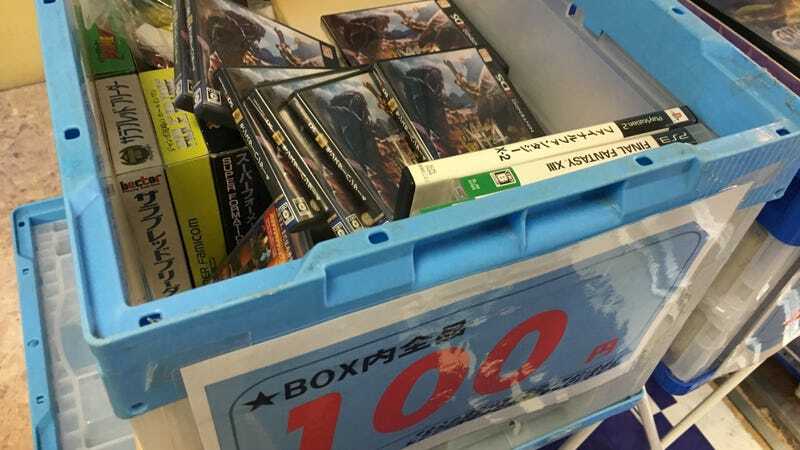 Now they can’t give them away; witness a whole pile of minty-fresh copies in this 100-yen (about $1) bin outside the store Surugaya in Akihabara today.